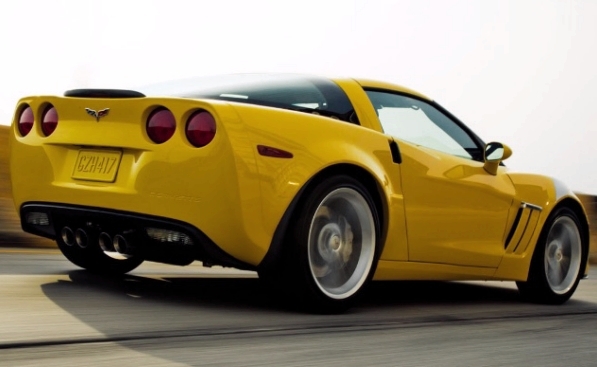 The 2013 Chevrolet Corvette Grand Sport is the new luxury car that is celebrating its 60th anniversary. The exterior is stunning and the interior is lavish. The safety features are at its best and the powerful engine can give outstanding performance. Let’s have a look at some of its spectacular features. The exterior is stylish and chic. The black-painted five-spoke aluminum wheels are integrated elegantly into the sides of the body. The ZR1-style rear spoiler, gray-painted brake calipers and the “60th” logo on the wheel center caps makes it classier. The new exterior colors are offered which include Black and new Night Race Blue Metallic. Also, you can choose from Arctic White, Blade Silver Metallic, Inferno Orange Metallic, Velocity Yellow Tintcoat, Torch Red, Supersonic Blue Metallic, Cyber Gray and Crystal Red Tintcoat. Contrasting-color headlamp housings, heated outside mirrors and a power-folding convertible top is standard on 3LT and 4LT Corvette and Grand Sport Convertible models. The 18-inch front and 19-inch rear wheels are silver-painted wheels with black and chrome finishes. The interior is luxurious with dual-cockpit, larger bolsters on the seat back and cushion areas and sueded-microfiber seat inserts are included with the leather-wrapped trim. Heated seats are available on 3LT and 4LT trims while custom stitching in blue, red or yellow is available on 4LT version. A choice of Dark Titanium, Ebony or Cashmere colors is available for a custom leather-wrapped interior. 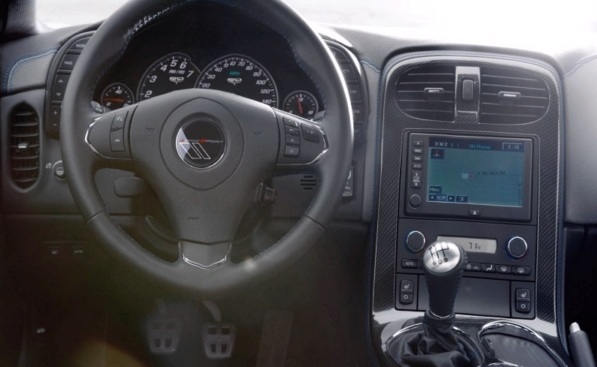 The steering wheel with leather-wrapped spokes give you more grip and control over the car. The robust engine is capable of giving power performance. Coupe and Convertible are powered by the 6.2L LS3 small-block V-8 engine that can deliver 430-hp of output power. The LS7 engine on 427 Convertible Collector Edition and Corvette Z06 can generate 505-horsepower of output. 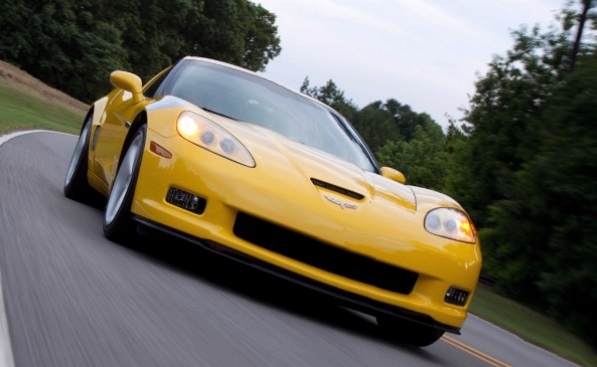 While, the LS9 supercharged 6.2L engine is the fastest and gives a top speed of 205 mph on the Corvette ZR1. A standard six-speed manual transmission and an optional six-speed automatic paddle-shift can give fastest acceleration. So, get ready to cruise in this Grand luxury vehicle, the 2013 Chevrolet Corvette Grand Sport and experience a royal drive.